Phase 2® is the name for the proprietary, clinically studied version of white kidney bean extract. White kidney bean extract is a common ingredient in many fat burners, although only a few contain the registered Phase 2 version (you may also see white kidney bean extract referred to as Phaseolamin, or Phaseolus vulgaris). Why is white kidney bean extract common in so many fat burners and carb blocker products? 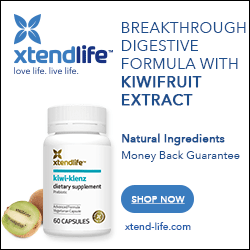 Mostly, it’s because white kidney bean extract is thought to interfere with the action of the enzyme amylase, which is required for the proper digestion of carbohydrates. In theory, Phase 2® prevents amylase from converting carbohydrates into sugar, thus effectively “blocking” a portion of those carbohydrate calories from inevitably being converted into fat and being deposited on your waistline. So while things certainly look promising for white kidney bean extract, it would certainly be incorrect to call it a hands-down winner (incidentally, white kidney bean may have other weight-loss benefits — it may improve lipid profiles in obese individuals — Nutrition 2002;18:729-33, and may help to lower the GI (glycemic index) levels of high GI foods). I’ve also had the opportunity to chat with a couple of people who used white kidney bean based carb blockers and actually gained weight. To be fair, I suspect that this had more to do with the overeating of simple carbohydrates, brought on by the false sense of security afforded by the use of a carb blocker. 1. …won’t prevent the digestion of all carbs – sugar digestion/absorption, for example won’t be inhibited. If rice, bagels or mashed potatoes are on the menu, great. On the other hand, chocolate chip cookies, doughnuts and apple pie a la mode are problematic, thanks to their sugar and fat calories. Obviously, some additional fermentation occurs when Phase 2 is consumed with a starch-containing meal. Thus, some of those “undigested” starch calories may end up getting reabsorbed for use as energy. If you’re interested in experimenting with Phase 2, you’re in luck: it’s not very expensive when purchased as a standalone supplement. For example, iHerb – one of our recommended retailers – sells 180 500mg caps of Phase 2 for $18.48 (use the coupon code FAT259 to get $5 off your first order).